Urban forests provide essential ecosystem services to a growing proportion of the world’s human population. The ability of urban forests to provide ecosystem services has been measured by scientists focusing on the management of urban ecological resources within the urban social ecological system. Resource management is, of course, undertaken by people whose management decisions are influenced by a suite of factors including institutions (policies and norms). Thus, to understand the current state of urban forests and their relationship to resource management decisions, effective research must combine analyses of biophysical, social, and institutional data. What is the structure of the privately-owned portion of the urban forest? What factors motivate individual households to manage their urban trees? What role do neighborhood and home-owner associations play in incentivizing sustainable management of private urban forests? 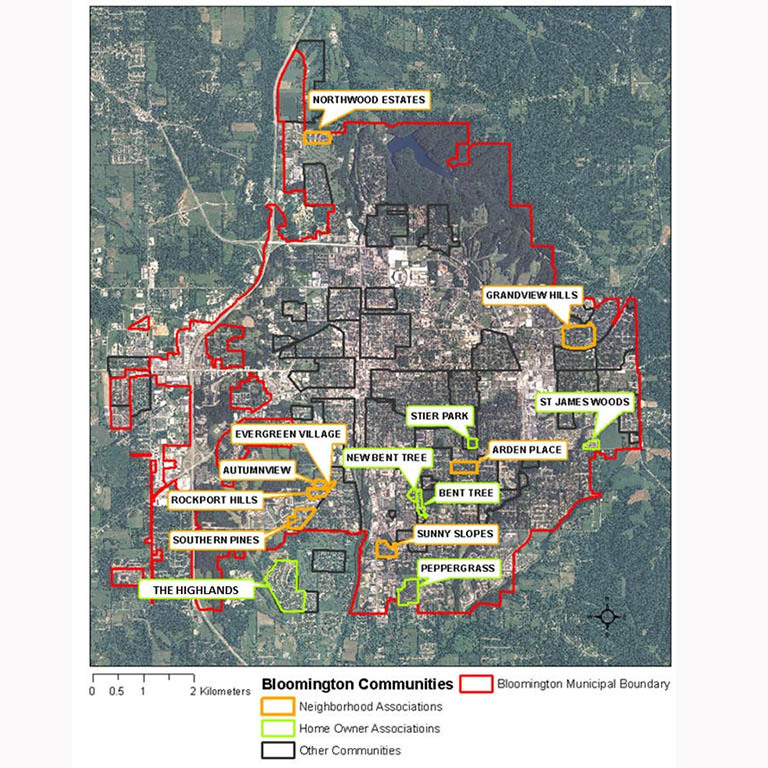 By surveying single-family households across multiple neighborhood and home-owner associations in Bloomington, Indiana, and inventorying these properties’ trees, this study links outcomes on the landscape with the context and motivations of private property owners. The objective of the biophysical data collection is to evaluate urban forest structure and function within sampled neighborhoods. We assume that forest quality is directly related to the quantity and diversity of trees by size, age, and species distributions (i.e. high quality urban forests—those that provide the most ecosystem services—have lots of trees, in good condition, with diverse species and ages). 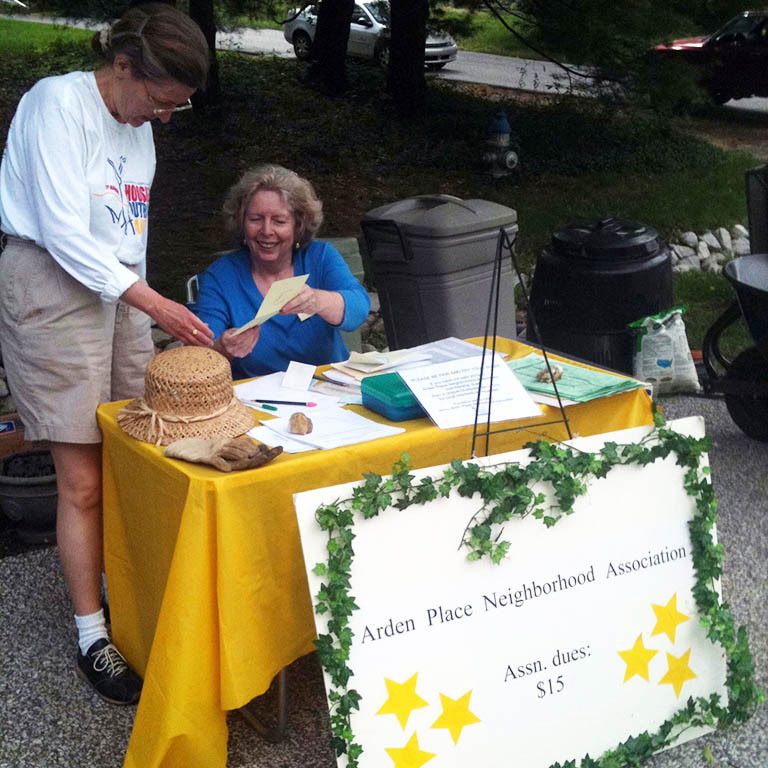 The objective of the household survey data collection is to evaluate the motivations of private homeowners in the context of the norms and policies of their neighborhood associations and the City of Bloomington. Institutional analyses of the City and the sampled associations allow researchers to understand how variation in institutional strength may influence household decisions about tree management. 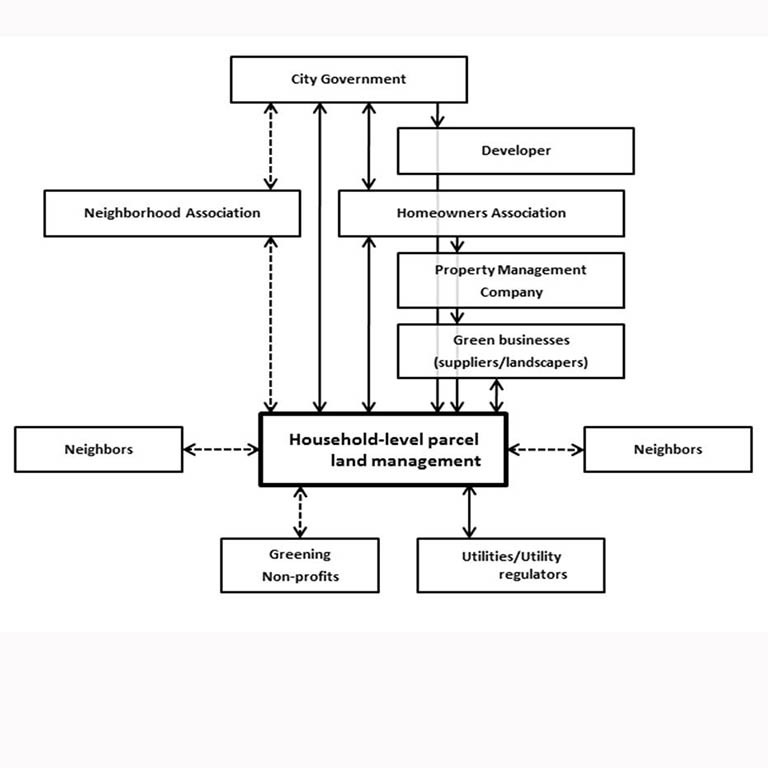 Figure 1.Influences on household urban tree management. Some results of the biophysical data analysis were presented at the Indiana Urban Forest Council’s Winter Meeting (2/7/2012). Analysis of household survey data, soil carbons analysis, and institutional analysis will soon be available here. Check back soon for updates. Do you have ash trees on your property? Learn about the Emerald Ash Borer, and calculate costs associated with it (in Monroe County). IU News Room press release from 2012 ESA Meeting presentation: “Ecological Society of America annual meeting draws more than 30 IU scientists as presenters,” August 6, 2012. IU News Room press release: “IU researchers studying urban forests in Bloomington backyards,” Summer 2011. Mincey, S.K., M. Hutten, B.C. Fischer, T.P. Evans, S.I. Stewart, and J.M. Vogt. 2013. Structuring Institutional Analysis for Urban Ecosystems: A Key to Sustainable Urban Forest Management. Urban Ecosystems 16(3):553–571. Schmitt-Harsh, M., S.K. Mincey, M. Patterson, B.C. Fischer, & T.P. Evans. 2013. Private residential urban forest structure and carbon storage in a moderate-sized urban area in the Midwest, United States. Urban Forestry & Urban Greening, in press. Fischer, B.C. & S.K. Mincey. 2010. Characteristics of sustainable urban forest social-ecological systems: Analysis tools for the local level. 2010 Partners in Community Forestry National Conference, November 9-11, 2010, Philadelphia, PA.